Sarah Nader - snader@shawmedia.com Woodstock North's Rhetta Bates shoots during the first quarter of Tuesday's IHSA Class 3A Regionals against Woodstock in Richmond February 18, 2014. Woodstock defeated Woodstock North in double overtime, 54-50. 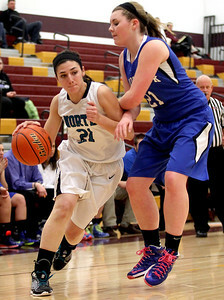 Sarah Nader - snader@shawmedia.com Woodstock North's Samantha Abbate (left) is guarded by Woodstock's Gabby Scolio while she brings the ball towards the basket during the second quarter of Tuesday's IHSA Class 3A Regionals in Richmond February 18, 2014. 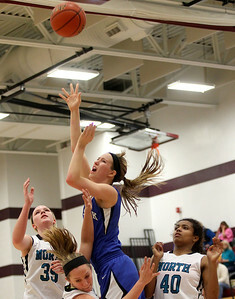 Woodstock defeated Woodstock North in double overtime, 54-50. Sarah Nader - snader@shawmedia.com Woodstock's Brecken Overly (left) runs past Woodstock North's Ashley Jones during the second quarter of Tuesday's IHSA Class 3A Regionals in Richmond February 18, 2014. Woodstock defeated Woodstock North in double overtime, 54-50. Sarah Nader - snader@shawmedia.com Woodstock North's Haley Ahr (left) shoots over Woodstock's Gabby Scolio during the second quarter of Tuesday's IHSA Class 3A Regionals in Richmond February 18, 2014. Woodstock defeated Woodstock North in double overtime, 54-50. 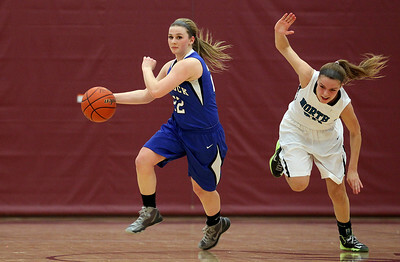 Sarah Nader - snader@shawmedia.com Woodstock's Grace Beattie loses control of the ball during the third quarter of Tuesday's IHSA Class 3A Regionals against Woodstock North in Richmond February 18, 2014. 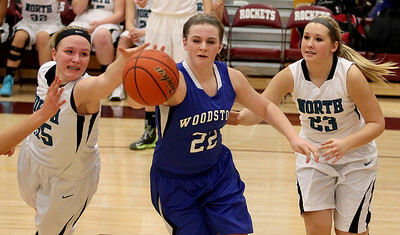 Woodstock defeated Woodstock North in double overtime, 54-50. Sarah Nader - snader@shawmedia.com Woodstock's Dakota Brand shoots during overtime at Tuesday's IHSA Class 3A Regionals against Woodstock North in Richmond February 18, 2014. 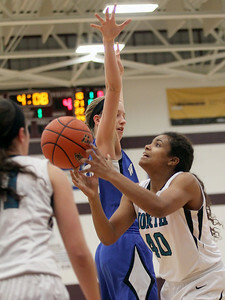 Woodstock defeated Woodstock North in double overtime, 54-50. 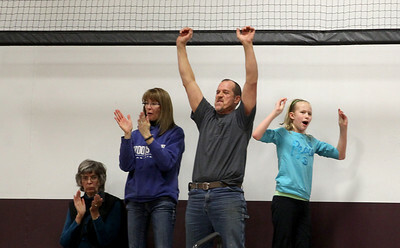 Sarah Nader - snader@shawmedia.com Woodstock fans cheer after Woodstock scored during double overtime at Tuesday's IHSA Class 3A Regionals against Woodstock North in Richmond February 18, 2014. Woodstock defeated Woodstock North, 54-50. Sarah Nader - snader@shawmedia.com Woodstock North players react during the last seconds of Tuesday's IHSA Class 3A Regionals against Woodstock in Richmond February 18, 2014. Woodstock defeated Woodstock North, 54-50. Sarah Nader - snader@shawmedia.com Woodstock North's Haley Ahr (left), Woodstock's Brecken Overly and Woodstock North's Ashley Jones go after a lose ball during double overtime at Tuesday's IHSA Class 3A Regionals in Richmond February 18, 2014. 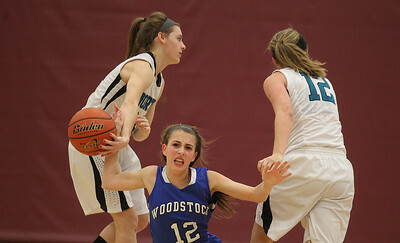 Woodstock defeated Woodstock North in double overtime, 54-50.